Applications are now being accepted for the Herter – O’Neal Scholarship. 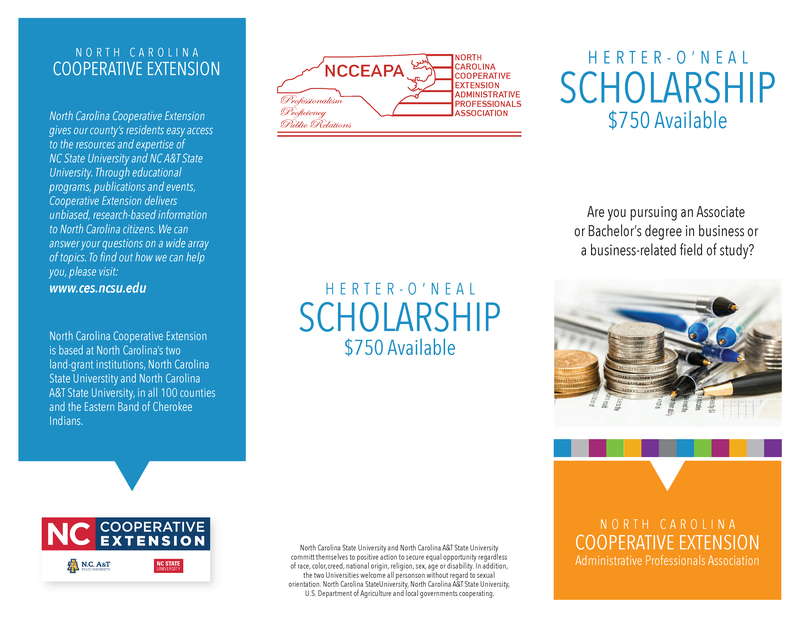 This scholarship is offered to anyone pursuing a college degree (Associate’s or Bachelor’s) in business or a business-related field of study with the exception of current members or those eligible to become members of the NCCEAPA. Applicants must be a legal resident of North Carolina. All eligible applicants will be considered. The amount of the scholarship is $750. Apply by March 15, 2019. For more information contact N.C. Cooperative Extension, Franklin County Center at 919-496-3344.